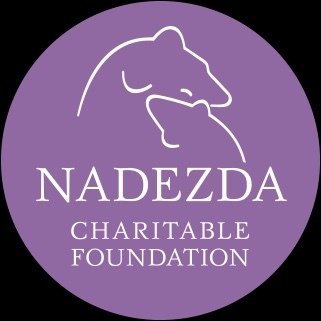 We create this amazing online auction with wonderful travel destination ,so we can raise funds for sick children we look after in our charitable foundation "Nadezda" - www.fondnadezda.com Close. Barefoot chic, villas of Constance Moofushi are standing on dazzling white sand or on stilts that float above the turquoise water of the Indian Ocean. All villas are built and decorated with wondrous tones of nature with a hint of Constance chic. Colorful aquatic world is also a must during the stay: from snorkeling exploration, sunset cruise with a traditional Dhoni to dolphin search and big game fishing Maldivian style; Constance Moofushi and its surrounding is a jewel! The voucher is valid for one year, not including blackout dates. Gift Voucher for a 5-night stay on BB basis . Constance Belle Mare Plage, Mauritius, located on one of the most dazzling beaches of the island with white sands and clear blue waters, offers comfortable accommodations in a lively cosy style . 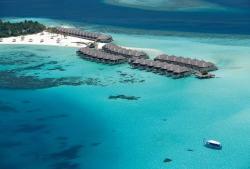 Spacious and bright rooms and villas feature traditional island design coupled with a luxurious and modern facilities. The array of amenities include:18-hole-courses, water sports, gym, kids club, spa-treatment and many more to create comfort, to radiate brightness and to breathe in the freshness of the Indian Ocean. ​​The voucher is valid for one year, not including blackout dates. Gift Voucher for a 5-night stay on a HB basis. Constance Ephelia, Mahe, Seychelles offers spacious contemporary accommodations surrounded by lush landscape and scintillating lagoons, a beautiful spa village to revive your senses. Set on the 300 acres of tropical landscape amongst the mangroves and bordering onto the Port Launay marine national park the hotel is surrounded by the two best beaches on the island. The guests are invited to enjoy delicious dishes and cocktails at one of the five restaurants or five bars, relax in the biggest SPA complex in the Seychelles or try one of the numerous water activities. The voucher is valid for one year, not including black out dates. Gift Voucher for a 5-night stay on All Inclusive basis . 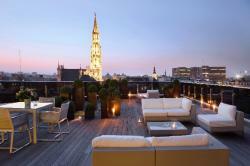 The Warwick Brussels is a historic downtown 5-star luxury hotel with a Belgian Brasserie, meeting venues, fitness center, and sauna. Close to Central Station, Art Thema Gallery, Mont des Arts, Jardin du Mont des Arts, Musee Magritte, Place Royal, and the MOOF Museum. 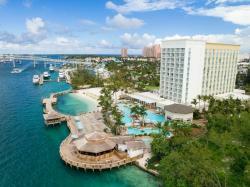 Set along Nassau Harbour with picture-perfect views of Paradise Island and within walking distance of The Bahamas’ best beaches, shopping, and entertainment, Warwick delivers an all-inclusive experience that’s enhanced with luxurious touches and personalized guest service. Adult singles, couples, friends, families, and groups will appreciate Warwick’s stylish accommodations, delectable dining, access to a gorgeous private harbor beach, and a host of activities and amenities.